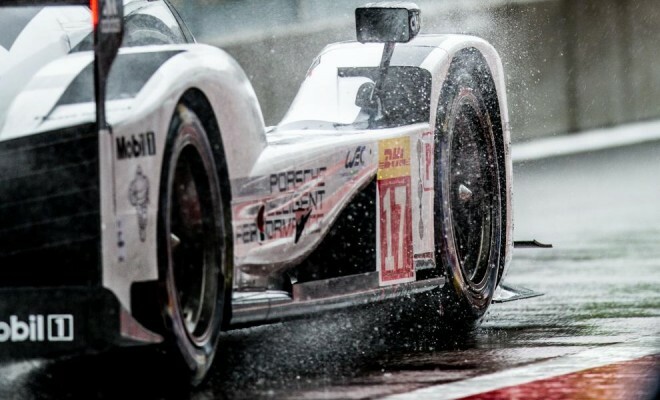 It is clear that the new 2015 version of the Porsche 919 Hybrid is the fastest vehicle on offer in the FIA World Endurance Championship and it is not just one car that showed proof, Porsche used three on Friday evening and swept the top three places on the grid of Saturday’s Six Hours of Spa at the challenging Spa-Francochamps Circuit in Belgium. Now the question hanging over the Weissach-based runner is simple: can this car outlast the Audi R18 E-Tron Quattro in a straight fight? 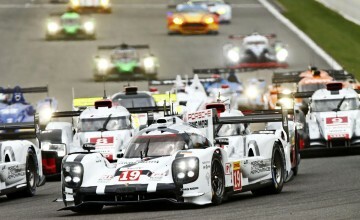 The Porsche 919 was strong in the FIA WEC’s opening race at Silverstone, England, yet Audi came out on top. After claiming the top time in a pair of rain-affected test sessions on Thursday, Porsche turned the tide back in their favor on Friday afternoon, after Audi’s Andre Lotterer was fastest in the morning warm-up, the first running done with ideal track conditions. While Audi seemed to find another gear in the morning, Porsche was able to mount a major counterattack when it mattered most as Timo Bernhard and Brendon Hartley each toured the four mile plus circuit in an impressive one minute, 54.7 seconds, easily taking the pole position for the No. 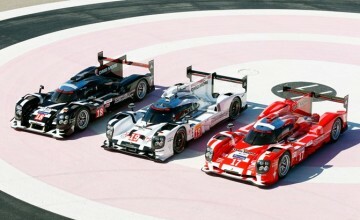 17 Porsche 919 Hybrid they will share Saturday with Formula One veteran Mark Webber. The second in line for Porsche was the team’s part-time third entry, led by current F1 pilot Nico Hulkenberg. Nick Tandy, who drove for the KCMG LMP-2 squad in the Silverstone opener, teamed with Hulkenberg to claim the outside position on the front row, their average time just two tenths off the lead entry. Earl Bamber rounds out the lineup in the No. 19 entry, while the No. 18 machine with Romain Dumas, Mark Lieb, and Neel Jani will start on the inside of the second row, a half second off the pole time. Audi Sport Team Joest, who successfully claimed the win at Silverstone in the “hunter” role, will start Saturday’s second round in a similar role after qualifying its three-car lineup in positions four, five, and eight respectively on Friday. Team leader Andre Lotterer came the closest to breaking in among the Porsche triumvirate, however the No. 7 E-Tron Quattro entry settled for fourth on the grid when co-driver Benoit Treluyer was unable to match his teammate’s pace. Loic Duval and Oliver Jarvis were a full second off the pace set by their sister entry, but will start the No. 8 machine from fifth. The No. 9 entry, the part-time squad being prepared mainly for a run at the 24 Hours of Le Mans next month wound up eighth on the grid with Felipe Albuquerque and Rene Rast handling the qualifying duties. While Porsche and Audi continue to battle for overall honors, reigning FIA WEC LMP-1 champions Toyota Motorsports have been unable to break into the fight so far. The race weekend at Spa-Francochamps got off to a nasty start on Thursday, when a mechanical failure forced Japanese veteran driver Kazuki Nakajima off the road and into hard contact with the outer barriers. Nakajima suffered a broken vertebrae in his back and will not race on Saturday. The injury could also force him to miss the upcoming 24 Hours of Le Mans as well, but there is hope he will recover to the point he will be cleared to participate. As for Friday, the team’s pair of TS040 Hybrids were no match for the LMP-1 lead cars and were only able to get within 2.7 seconds of the pole time set by Porsche. 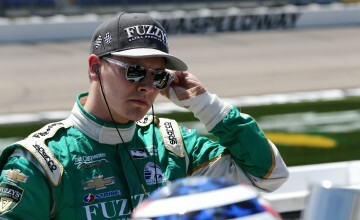 The two-car squad, will start sixth and seventh respectively on Saturday. In the LMP-2 division, G-Drive Racing claimed their second straight pole position to open 2015, but unlike at Silverstone, there are a host of pursuers they will have to put up with on Saturday. Julien Canal and Roman Rusinov teamed up to place the team’s No. 26 Ligier JS P2-Nissan coupe on class pole position with a two minute, 7.7 second average, just enough to claim the lead role by only two tenths of a second on KCMG’s ORECA 05-Nissan coupe. KCMG was close to the pace of G-Drive in the season opener, but reliability issues ruined their efforts on race day. Assuming gains in longevity have been made prior to Saturday, a more serious challenge could be made from the Nicolas Lapierre, Matt Howson, and Richard Bradley piloted entry. Also making a solid showing on Friday was the 2015 debut run for the Team SARD-Morand open top Morgan Evo machine of Oliver Webb, Pierre Ragues, and Zoel Amberg, who were just under three tenths of a second off the pace. The team skipped the opener in England due to financial concerns and have since reduced their effort to just one car for the rest of 2015, including the 24 Hours of Le Mans. G-Drive Racing’s second entry with Gustavo Yacaman among the driving squad will start alongside Morand on the second line. Extreme Speed Motorsports’ debut run with the Ligier JS P2 coupe, provided mixed results as the Honda-powered entries will start seventh and ninth in class, with a big gap in times between each of the team’s qualifiers hurting their efforts. The team however, made up for a lackluster qualifying effort at Silverstone and until the entry was excluded after the race, would have claimed a podium place in the first race with one of its two entries. Based on that, ESM should play a role at the front at some point in the six-hour event on Saturday. In the grand touring ranks, Aston Martin Racing looks to be the favorite entering race mode on Saturday after claiming pole positions in both the Pro and Amateur classes with their fleet of Vantage V8s. Fernando Rees and Richie Stanway teamed up to place the No. 99 AMR entry on the Pro pole at a 2:16.9 average time, edging AF Corse Ferrari’s lead entry by only seven hundredths of a second over the course of a four-mile plus distance. AMR is looking to change its luck in the Pro class after a frustrating race at Silverstone. The pole run in the Amateur division for Aston Martin was much more convincing however, as Paul Dalla Lana and Pedro Lamy were over a second clear of their rivals to take top honors at 2:19.5, with the best of the rest honors going to an improving Larbre Competition Chevrolet Corvette C7.R, looking to makeup for a disappointing opening race when they finished last. Stay tuned to Rubbings Racing for a full recap of Saturday’s Six Hours of Spa.